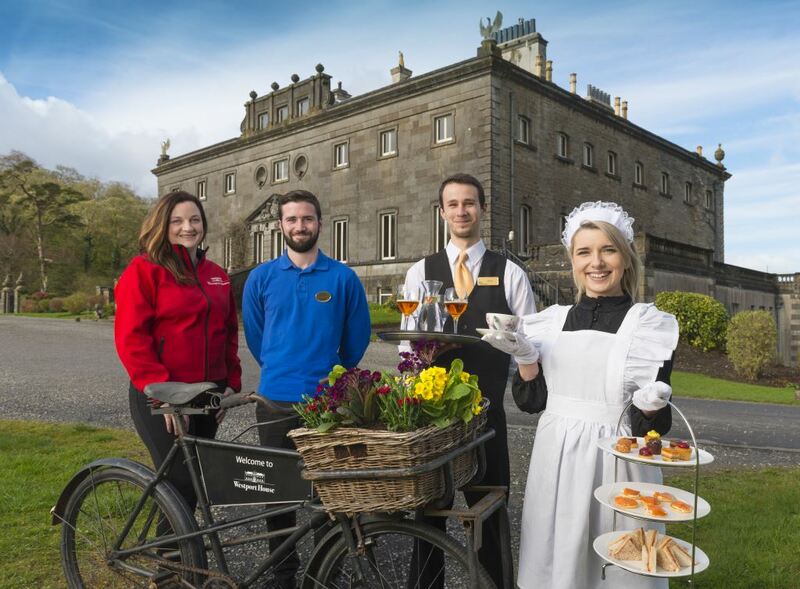 We have a bunch of new roles for the right people to join one of the most exciting tourism developments in the West: Westport House & Hotel Westport. We are now actively seeking to fill the roles below to help us wow our customers. Please click on the job below for a description of the role and the skills/qualifications necessary for success. We welcome your application and please do share with anyone you know who may be suitable and interested. The ideal candidate will have a passion for outdoor activity and the ambition and tenacity to develop a clear career path within an expanding company. This role will have responsibility for the strategy and vision for Westport House to make it a massive differentiator and revenue driver for the business. 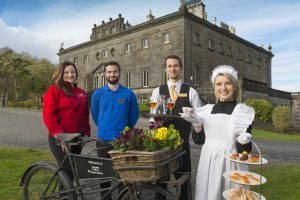 This role will also ensure day to day operations of the existing Pirate Adventure Park Attractions, Westport Train Tour and Adventure Activity Centre. Develop and own the vision and strategy for outdoor activity at Westport House as an industry-leading site. Take responsibility for current and future attractions and activities of Westport House as you would your own business which means keeping a keen eye on costs, maximising revenue opportunities and keeping customer satisfaction as your top priorities. Responsible for Health & Safety and for promoting a Safety Culture. Oversee the effective application of regulations, risk assessments and safety statement as well as incident handling to ensure a safe environment for employees and guests. Deliver a fantastic customer experience and deal with any customer issues to achieve the best resolution for both parties. Efficiently operate the Pirate Adventure Park Attractions, Westport Train Tour and Adventure Activity Centre. Co-ordinate and facilitate day to day delivery of outdoor activities and attractions for day visitors, group bookings, seasonal programmes, themed events, etc, ensuring availability of necessary equipment and appropriately certified staff. Manage recruitment of permanent and seasonal activity instructors and attraction operators as the need arises. Manage staff rotas to ensure appropriate skills are available to deliver scheduled activities. Co-ordinate staff training on both operations and customer care. Liaise with Cleaners and Estate Grounds Manager regarding regular maintenance and presentation of site and all on site equipment in line with relevant Health & Safety guidelines. Maintain standard operating procedures for all operating rides and attractions – keeping them current with industry standards and ensuring daily, weekly and monthly checks are completed and logged. Constantly improve operational systems, processes and policies to ensure the business achieves targets. Ability to perform various physical activities, such as climbing, crawling, and lifting, from various heights on ride structures. Working in a flexible manner and as part of a team which may require unsocial hours. Ability to work weekends and holiday periods to meet business needs. Proven leisure and activity management experience. Knowledge of the outdoor activities sector. Experience rolling out new activity installations and managing significant budgets. Working knowledge of sector specific regulation and licensing requirements. Experience managing customer service operations, staff performance, training including appraisals. Excellent computer skills and proficiency in Microsoft Office. Able to supervise centre activities and where/when necessary support delivery of the same. Maintain and expect high standards of honesty, integrity, reliability and punctuality. We are now actively seeking an experienced Sales & Marketing Executive to help us grow revenue for both Westport House & Hotel Westport as part of a wider sales and marketing team. The ideal candidate will have excellent online marketing skills along with proven experience of same, strong copy writing capabilities as well as a generalist proficiency in related sales and marketing disciplines. Responsibilities will include the marketing and sales of Hotel Westport, Spa, Leisure and Conference and Westport House. Front end web site management and SEO, social media, blog/content writing and development, email marketing, PPC and social advertising. Responsibility for the sales and marketing of specific products – ensure an in-depth knowledge and use this knowledge to develop and implement a detailed sales and marketing action plan while aligning with overall sales and marketing plan of the group. Responsibility for the written communications within the group. Continuous improvement and updating of promotional materials, update the on-line photo, text and video library and competitive analyses. Represent the group at exhibitions and other promotional events as necessary. Be able to manage, report and maximise the impact of budgetary investment in all areas of the business. Working in a flexible manner and as part of a team which may require unsocial hours. Occasional ability to work weekends and holiday periods to meet business needs. Join us as part of the team within Westport House and have responsibility for the Administrative Operation of, Reservations Support and Customer Care/Reception for Westport House, the Pirate Adventure Park, Adventure Activities, Special events and Caravan & Camping Park. Special Events involvement including sourcing, ordering and inventory of supplies necessary for event success. Reception and reservations management of same. May require working events and/or antisocial hours. Responsibility for Child Safeguarding Statement & Designated Liaison Officer for any employee or customer concerns. Hospitality or hotel experience or in another customer care role. The position of mechanical supervisor is to aid the Estate Grounds Manager and the Attractions & Activity Manager to ensure the smooth and safe operation of the Pirate Adventure Park attractions and the fleet of maintenance machinery. Ensure all rides and equipment comply with equipment manufacturers’ operating standards and requirements. Perform visual and auditory inspections of rides and attractions and maintain proper records for all inspections, maintenance and repairs. The mechanic will also have the assistance of the estate’s electrician and maintenance team where required. The position will be of a practical nature and the mechanic will have full responsibility for the recording of all mechanical works and associated paper work. The mechanical supervisor will work closely with the Estate Grounds Manager and Supervisor, with all necessary support and assistance provided. To undertake and oversee that all preventative and reactive maintenance on the mechanical attractions in the Pirate Adventure Park in a safe and efficient manner. All works are to be recorded and managed in accordance with the required Company’s Operational Procedures for the Pirate Adventure Park and the associated Health & Safety procedures. To ensure and assist the Estate Grounds Manager / Adventure Activities Manager in the daily mechanical checks on all the mechanical attractions in the Pirate Adventure Park. To ensure all the mechanical attractions are safe and fit for propose. All defects are to be reported and a recorded repairs procedure to be followed. To undertake year-round preventative maintenance and upgrade of the mechanical attractions in the Pirate Adventure Park in accordance with the manufacture’s specifications. To perform daily, weekly, monthly, annual, and other required inspections of rides and related equipment as assigned; taking corrective actions as issues are identified. Inspections are visual as well as auditory. To ensure and assist the Estate Grounds Manager / Supervisor in the mechanical checks on the fleet of maintenance machinery. To ensure all the maintenance equipment is safe and fit for propose. All defects are to be reported and a recorded repairs procedure to be followed. To properly follow all repair procedures and maintains accurate documentation of all repairs. Maintains orderly and accurate records of all required inspections and work performed, and submits required paperwork to supervision in a timely manner. To maintain assigned equipment in a safe and ready condition according to all applicable codes, laws, rules, company policies, and best practices. Works safely and efficiently on all assigned tasks, coordinating with other as necessary to achieve desired results. To undertake preventative maintenance and servicing of the fleet of maintenance machinery. To undertake the CRVT servicing and preparation of the required maintenance vehicles. To aid and supervise any mechanical sub-contractors and ensure all safety measures are in place. Be able to maximise the impact of budgetary investment in attractions and always strive for the best value for money for the business. The mechanical supervisor will be required to work in a flexible manner in order to complete works and ensure the commercial requirements of the Pirate Adventure Park and estate. Most notably during peak periods i.e. Easter, Summer months and Halloween. Ability to work cooperatively with others in a fast paced and sometimes stressful environment. Working in a flexible manner and as part of a team which may require unsocial hours. Ability to work nights, weekends and holiday periods to meet business needs. Mechanical Experience of 5+ years. Additional certification desirable. Experience in working with various types of machinery. Desirably Experience with Hydraulics / agricultural and plant machinery / process plant / mechanical fitter would be preferable. Experience in recording and reporting of works in coherence with Health and Safety regulations. Required to work flexible working hours during peak season to ensure the smooth-running of the Pirate Adventure Park. Our sister company, Portwest – the global leader in workwear – is also hiring. Please click here for suitable roles. Interested in joining our very festive team this Christmas! Why not come along to our Open Interviews for Winter Wonderland taking place in Westport House on Sunday, November 3rd from 11am to 3pm. Hi Chris – we aren’t right now but you never know! Stay in touch.